This feature was originally published in the Mexico issue of These Football Times magazine. Consider supporting our wholly independent work and bag yourself a timeless magazine that’ll bring your coffee table to life. As Mexico’s original beach haven, Acapulco came to prominence in the 1950s, and notoriety soon followed. Attracted by eternal sunshine and freedom, Hollywood stars including Elizabeth Taylor and Frank Sinatra predated hoards of American students on spring break, and made the resort town one of Mexico’s most lauded and attractive. Radiant yellow is the sun, golden is the sand, and auroral green are the palms. Glistening cocktails and beachside neon showcase every shade between. One of Acapulco’s most famous sons, Jorge Campos, has worn them all. As one of Mexico’s most instantly recognisable footballers, Campos is revered for his style of play – acrobatic, expressive, risky, and yet highly effective. A veteran of 130 international caps and two World Cups, Campos was listed by FIFA as the world’s third-best goalkeeper in 1994. Personally designed and commissioned goalkeeper kits, inspired by his hometown, framed a larger-than-life character. Born in Acapulco in 1966, Campos’ early influences sat somewhere between surfing and ranches. Certainly the stereotypical surfer’s colourful sense of fashion, core body strength, low centre of gravity, and notion of self-assured agility appear to have served Campos well. Away from the coast, it was in the southern districts of Mexico City that Campos began an unlikely professional football career. Club Universidad Nacional, commonly known as Pumas UNAM, took a chance on a player slight in build and undecided between goalkeeper and striker. Training as a goalkeeper, Campos initially struggled to dislodge the club’s number one, Adolfo Ríos. Such was the extent of his struggle that when Campos did eventually make his debut in 1988, it was as a striker. Thus began one of football’s more remarkable journeys. Used sporadically as a back-up goalkeeper, and far more frequently as a striker, Campos registered 14 league goals in the 1989/90 season. At five foot seven inches, he was a diminutive forward, and by today’s standards of physicality, a most unlikely goalkeeper. Regardless, Campos was defiant. 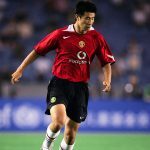 It wasn’t obvious at the time but his regular outfield exploits were building a skillset to be the hallmark of a unique and gifted goalkeeper. The 1990/91 season saw Campos firmly cement his place as first-choice goalkeeper for both club and country. Pumas, with a core of Mexican internationals and a back line built around their goalkeeper, claimed the 1991 league championship at the expense of local rivals Club América. Campos had arrived. His style of goalkeeping was undoubtedly unique and was an easy target for scorn and criticism, however, he worked hard to gain solidity and consistency. To an untrained eye Campos was erratic and unpredictable. He appeared little more than colourful circus performer delivering entertainment to fans, confusion to his defenders, and migraines to his manager. Be that as it may, behind the dazzling shirts and frantic blur of movement, he was growing into a gifted goalkeeper. For what he lacked in height, he made up for in agility. Core strength from his surfing youth, lightning-fast reactions and quick feet were his foundations. Rather than react to one-on-one situations, Campos was proactive. Sprinting to meet and tackle an advancing striker became his forté. Keeping an advanced position and doing as much work as he could with his feet, Campos dictated his teams to be on the front foot. There were momentary lapses. The sight of a ball trickling into an unguarded net, with Campos stranded several meters away, occurred with relative frequency. Yet what Campos provided in terms of setting up attack, and the seemingly certain goals cancelled out by his agility, more than made up for the lapses. In more ways than one Campos was a modern day line to the great South American arquero líberos. Ball-playing goalkeepers of football’s past who predated Total Football and Manuel Neuer. For Campos, Mexico, and the blossoming identity of a legend in the making, momentum built to a head in the summer of 1993. Invited as guests for the Copa América, Mexico and Campos surprised many and went all the way to the final. A narrow defeat to Colombia’s golden generation and credible draws against Argentina and Bolivia saw Mexico through the group stage. Peru were despatched in the quarter-final, as were hosts Ecuador in the semis, before a Gabriel Batistuta brace consigned Mexico to noble runners-up. Less than a month after their heroic Copa América exploits, Mexico played in the Gold Cup. Emphatic group stage victories against Martinique and Canada in the group stage, 9-0 and 8-0 respectively, set the tone. A 6-1 semi-final defeat of Jamaica reverberated and confirmed a notable final against the USA. Thousands of football fans across the globe joined 131,000 fans in the Estadio Azteca. Campos kept a clean sheet and Mexico won 4-0. With the 1994 World Cup less than a year away, the Gold Cup – hosted between the USA and Mexico – became something of a TV-sponsored dress rehearsal. Many of the Mexican squad became household names, and none more so than the short, colourful, and quite brilliant goalkeeper. USA 94 was an important occasion for Mexico. Found guilty of fielding overage players during the 1989 Under-20 World Cup, Mexico were enforced absentees at Italia 90. 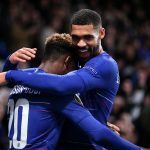 Coupled with a generation of players sitting comfortably in the last chance saloon, it meant that stakes and tensions were running high. At 27 years of age on the eve of the first match, Campos was primed for his peak. Mexico’s defence enjoyed a quiet World Cup opener against Norway, but a late lapse allowed Kjedil Rekdal to hand El Tri defeat. Against Jack Charlton’s Republic of Ireland on matchday two, Campos was kept busy and found in fine form, helping Mexico to a 2-1 victory. A 1-1 draw against Italy qualified Mexico for the knockout phase where they would face Bulgaria. In 120 minutes of football, all the scoring was completed inside the first 18 minutes. An Alberto García Aspe penalty cancelled out Hristo Stoichkov’s sixth-minute opener. Two second-half red cards rendered the match 10 versus 10, and opened up chasms of space. Campos and his Bulgarian counterpart, Boris Mikhailov, became the stars of the show. With both ‘keepers in fine form, a penalty shoot-out was inevitable. Mexico struck first, yet García Aspe couldn’t replicate his earlier penalty success and blasted over. Set to the backdrop of the goal frame and USA 94’s expansive netting, Campos cut a paltry figure. His short, stocky frame suddenly seemed a drastic hindrance. By definition, the penalty shoot-out is a restriction to Campos and his talents. Sprinting and tackling is no longer an option. With Krassimir Balakov in the midst of a monstrous run-up, Campos appeared quaint and hopeless. Forced to momentarily conform, he waited to react. Balakov’s connection was clean and the ball arrowed towards the bottom corner at some pace. Defying expectations, and perhaps several laws of physics, Campos sprang across and down to his right and palmed the ball around the post. That was the moment for Campos. Defying appearance, environment, and all assumptions. The moment was fleeting. As the shoot-out continued, Bulgaria’s Mikhailov saved penalties from Marcelino Bernal and Jorge Rodríguez, but Campos couldn’t repeat his magic. “We played like never before but lost like always,” is perhaps a harsh statement to conclude a World Cup campaign, yet in Mexico, it stuck. Regardless of that, Campos was a hero. Famed for flamboyancy the world over and revered for his strengths by those who played and trained with him, Campos was officially named the third best goalkeeper by FIFA that year. Before scorn is poured on claiming third best as an accolade, let’s recap the context – Campos was a short goalkeeper who was playing as a striker just six years earlier. Smart enough to capitalise on his fame yet wise enough not to let it go to his head, Campos moved to the USA in 1996 by signing for Los Angeles Galaxy, and later Chicago Fire, for the first three years of Major League Soccer. There he became the first Mexican footballer to be signed by Nike, and featured as the goalkeeper in their memorable ‘Good vs Evil’ commercial alongside the likes of Eric Cantona, Paolo Maldini, Patrick Kluivert and Luís Figo. In national team colours, Campos helped Mexico to another Gold Cup title in 1996, keeping a clean sheet against Brazil in the final. The World Cup of 1998 proved to be another case of Mexican underachievement and cemented the El Tri squad of the 1990s as the ‘ya merito’ (so close) generation. Following a victory over South Korea and well-earned draws against the Netherlands and Belgium, Mexico went down to two late goals in the last 16 against Germany. 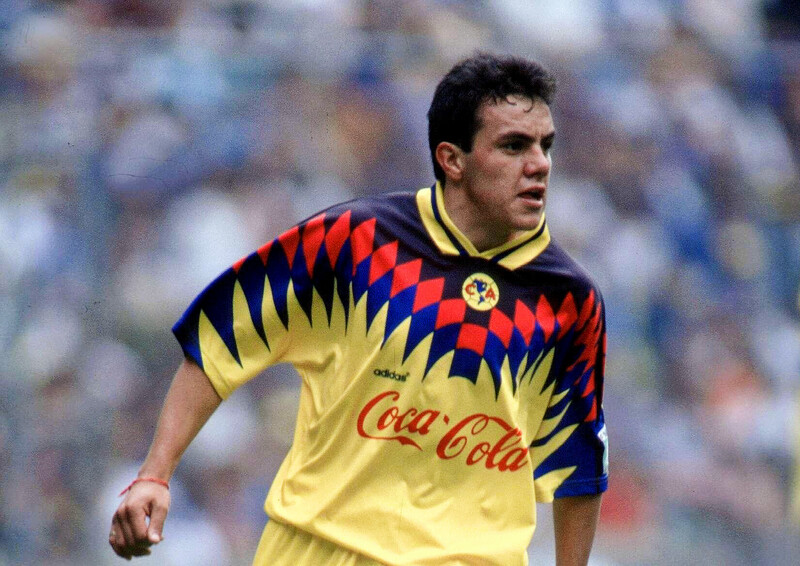 Campos returned to Mexico in 1999 and enjoyed stints back at Pumas, Tigres and finally Puebla, where he retired as a player in 2004, the same year he won his final international cap. Remaining doubters of his agility and talent should look up the 2011 edition of Lionel Messi’s charity matches. Naturally, the pace of the match is set firmly to exhibition speed, yet the way Campos, by then 45-years-old, thwarts attempts to chip him by Ariel Ortega, Romário and Messi himself is truly remarkable. Goalkeepers are different. 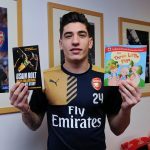 From the often reluctant figure between the jumpers at the park, to professional football’s catalogue of eccentricity – Grobbelaar, Schmeichel, Chilavert and Higuita to name but a few – goalkeepers make expert nonconformists. All have their own mindset, special powers, means of applying common skills, and repertoire of individual strengths. 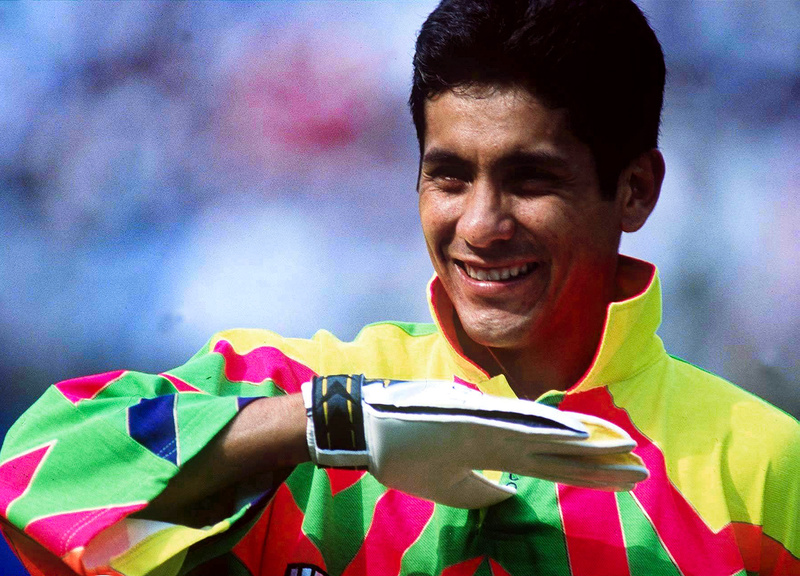 Jorge Campos was a goalkeeper and a magician, evoking joy, amazement and adulation in equal measure.